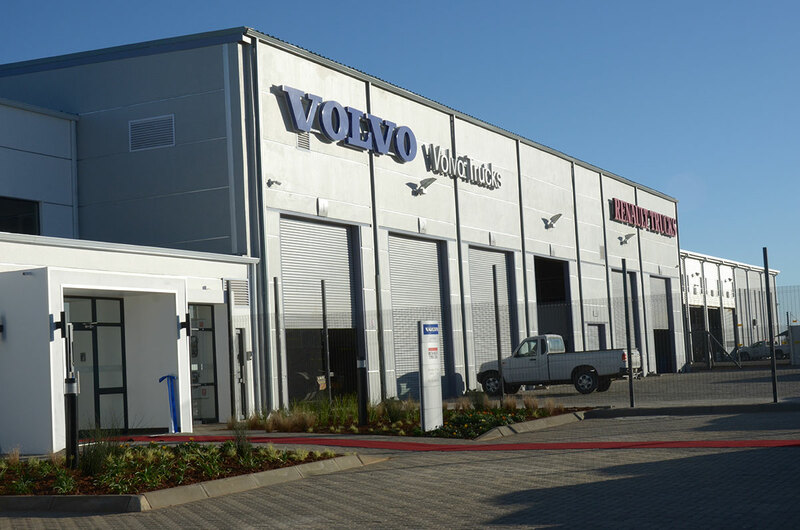 The new flagship dealership for Volvo Trucks and Renault Trucks in Bloemfontein. It is the first of its kind in the region to be specifically planned and developed to reflect the company’s multi-brand portfolio. Thank goodness for image. It comes in so handy when your GPS takes you to the wrong place and Molly, that cheerful lady who Samsung has managed to squeeze into your phone, delightfully tells you that “your destination is on the right”. You look right and there it is: A scrap yard filled with old, rusted car wrecks – with equally scrappy looking neighbours on both sides – and you’re looking for the new Volvo dealership in Bloemfontein. 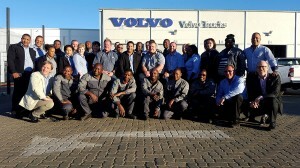 Christian Coolsaet, managing director of Volvo Trucks and Renault Trucks South Africa (kneeling far left) and Torbjorn Christensson, president of Volvo Group Southern Africa (kneeling far right), join management and staff for a celebratory photograph at the opening of this new dealership. 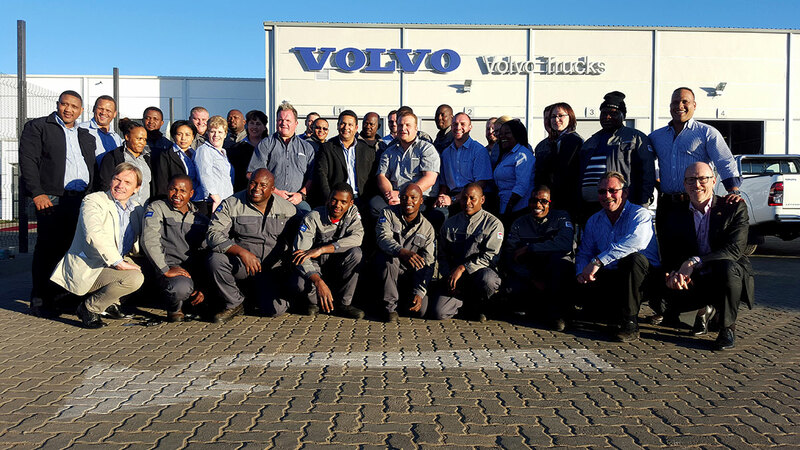 There are 37 well-trained technical, sales, aftermarket and support staff at the dealership to provide Volvo Trucks and Renault Trucks customers with world-class quality products and services. The image of Volvo immediately tells you that Molly has got it wrong. In fairness though, it’s wasn’t entirely Molly’s fault. There are two Gemsbok Roads in Bloemfontein. The one is in Kwaggafontein and the other one is, well, nowhere near Kwaggafontein. It turned out I was on the wrong side of town and had quite a way to go to get to the right place. You’re probably thinking I’m waffling here, but no – there is a point to it. Every company has an image which it projects to the market and when that image doesn’t match what you are used to or expect, you immediately know you’re in the wrong place. It’s just a point I have thrown in here as ‘food for thought’. When I did eventually get to the right venue, the image matched the expectation. It was stunning. Now I was in the right place. 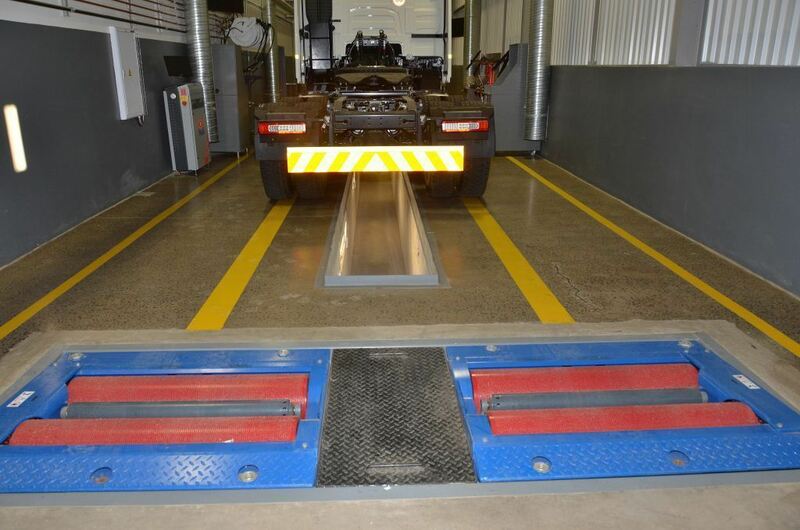 The Volvo Group insisted on the installation of these telescopic lifts for ease of maintenance work. Each cylinder has a lifting capacity of 16 tons – thus 32 tons per lift. They can lift to a height of 1.8metres and both lifts can be synced to lift a complete articulated bus. The lifts are manufactured and installed by JAB, a German company. 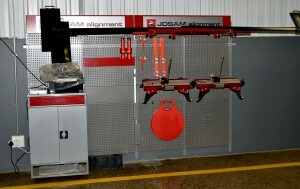 An overhead crane has also been installed in the workshops. The occasion was the official opening of the Volvo Group Southern Africa’s new flagship dealership for Volvo Trucks and Renault Trucks in Bloemfontein which, according to Christian Coolsaet, managing director of Volvo Trucks and Renault Trucks South Africa, is the first of its kind in the region to be specifically planned and developed to reflect the company’s multi-brand portfolio. 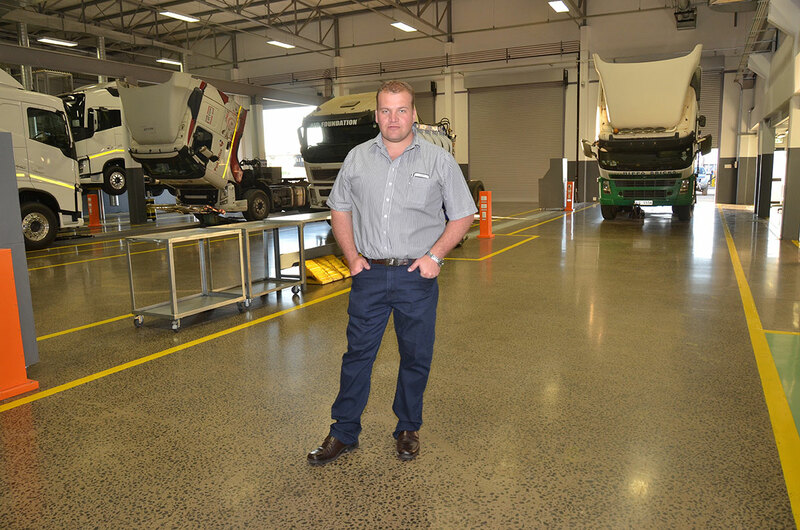 This new facility, which was developed at an investment of R45-million, was specifically developed to provide state-of-the-art support for Volvo Trucks and Renault Trucks fleet owners who operate across the region. 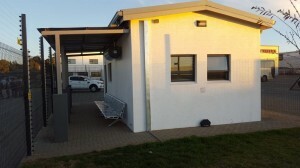 The dealership is thus strategically situated next to the N8 route that connects Upington, Kimberley, Bloemfontein and Maseru in Lesotho. It is also close to other major transport corridors including the N1 between Cape Town and Gauteng and Limpopo. 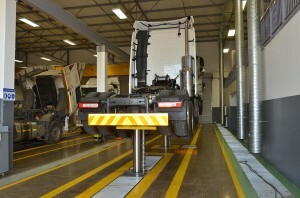 Automatic lubrication stations have been installed alongside the service bays in the workshops where lubes are fed from massive tanks in a lubrication dispensing area. The Volvo Trucks and Renault Trucks dealer in Bloemfontein originally started out as Swedish Truck Distributors in 1995 with a staff compliment of five. 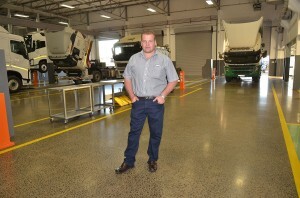 Since becoming a wholly-owned Volvo Trucks dealership in 2000, the facility has grown its business to selling up to 50 units a month with 37 well-trained technical, sales, aftermarket and support staff to provide Volvo Trucks and Renault Trucks customers with world-class quality products and services. 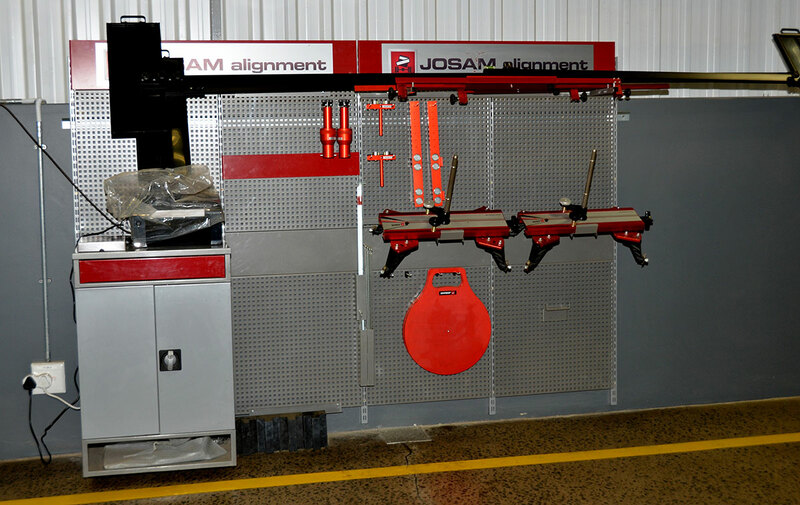 The all important function of wheel alignment has not been forgotten with a full station of Josam wheel alignment equipment installed. 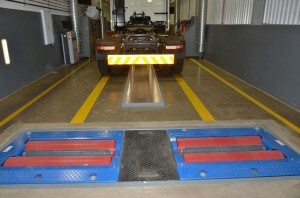 Operators often forget wheel alignment as a cost saving feature. Here it is given prominence. Play detectors are also being installed by Josam for further quality control via inspection of ball joints, king pins and spring packs. It’s all the right stuff. The past 20 months or so have certainly been eventful for Volvo Trucks and Renault Trucks, as the company successfully launched new product line-ups for both brands during this period. Both brands experienced their best sales performance ever during 2014, and the company is excited about the future of Volvo Trucks and Renault Trucks in the region. With the Volvo Group being on the cutting edge of innovation in the commercial vehicle industry, they are passionate about supporting fleet owners in a modern and practical way with innovations such as telematics gateways, interactive driver mobile applications and advanced fleet management systems. Louis Oosthuizen showed FleetWatch editor Patrick O’Leary around the premises. His enthusiasm was catchy. Here he stands in one of the two repair bays where major work can be conducted on five trucks at a time. “As one of the world’s leading commercial vehicle manufacturers, we focus a lot of attention on aspects such as advanced training, the innovative use of technology, communication, financial and business guidance, as well the implementation of international best practices in order to enhance our dealers’ service to our customers,” says Christensson. 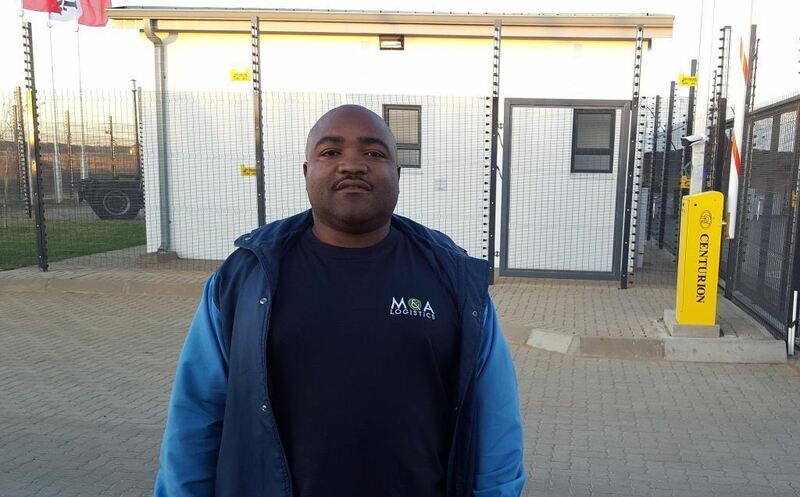 Driver Ernest Zentu was there to collect a new unit for his company, M&A Logistics, and was thrilled with the driver resting facilities – seen in the background – provided at the new dealership. “It’s comfortable, safe and secure with clean toilets, hot water and a kitchen area for us,” he told FleetWatch. 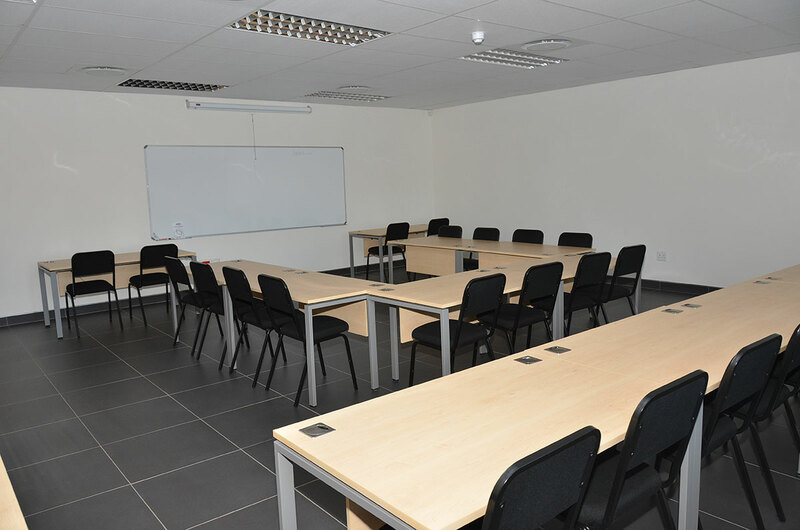 The dealership has an on-site training facility to support skills upgrading for the region. 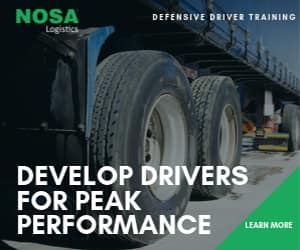 Trainers from the Volvo Group Competence Development Centre can give training on site to minimize cost. The new dealership offers a complete spectrum of truck sales, service, maintenance, finance and parts support. In addition, the dealership also offers brake roller testing, 24-hour roadside assistance and parts availability, lifting equipment, auto-electrical repairs as well as convenient drivers’ restrooms. The dealership services and maintains around 420 trucks a month, which includes on-site servicing at some key fleet customers. 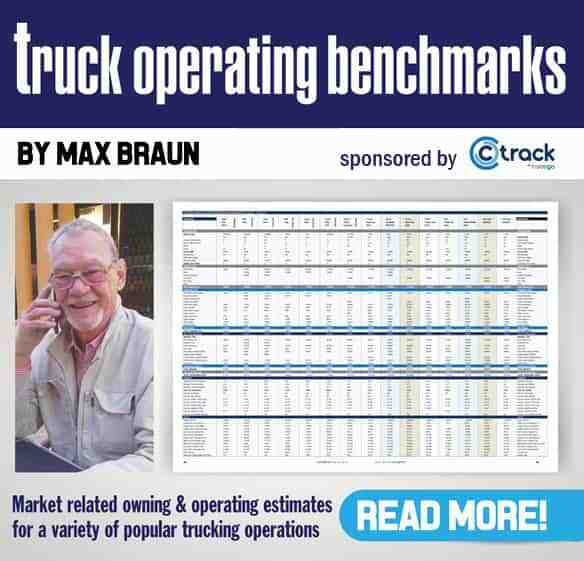 “Some of our key fleet owners operate in the region and we are therefore proud to offer them round-the-clock support in order to keep their fleets going and well-maintained,” said Coolsaet. It looks small but this driver rest facility has everything drivers need for a relaxing stay while waiting for their trucks to be serviced. Having been shown around the facilities by Louis Oosthuizen, I can attest to this being a world-class dealership. 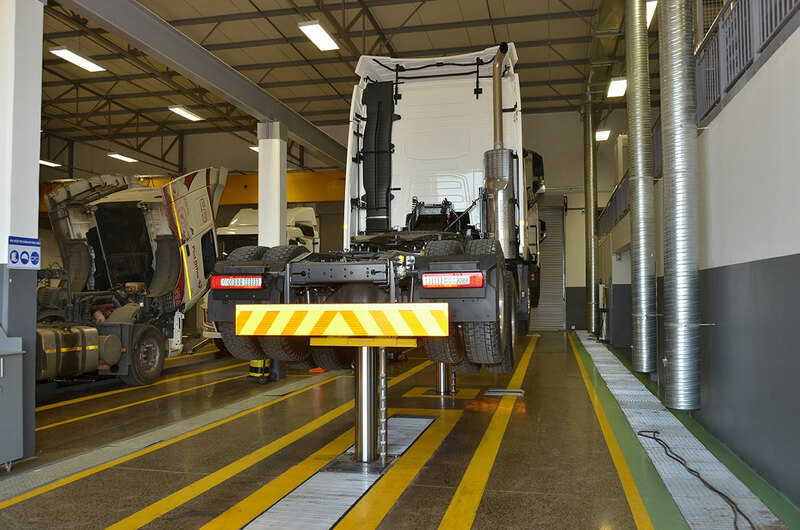 It always thrills me when I see a brake roller tester installed as a permanent feature – and this Bloemfontein dealer has one. There is also a rest area for drivers to relax in while their trucks are being serviced. 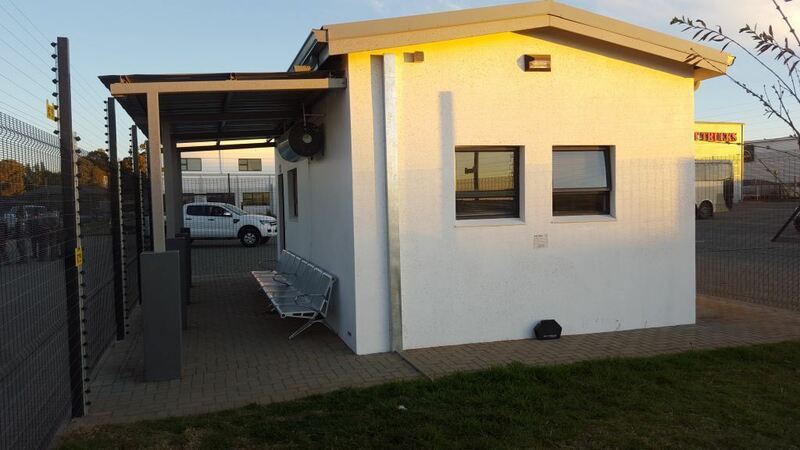 The accompanying photographs give an idea of the level of equipment and services available at this R45-million dealership. It’s all the right stuff and puts this dealer on a platform equal to – if not better – than others on the Volvo Group world stage.